How to reduce or even eliminate search times in my business? Is there a Google Maps for factories, halls and rooms? How can I perform a real-time inventory? Indoor localization, indoor positioning, indoor tracking – as one might call it – it’s always about the tracking of people or goods inside buildings. Since indoor GPS data does not work reliably, indoor positioning, especially in dynamic environments, is initially a technical and often financial challenge. There are a variety of approaches and indoor tracking solutions that are often associated with high costs or, in certain industries (Metal, medical technology, etc. ), are not even applicable. SINTRA is an affordable indoor and outdoor localization solution based on proven technology while being fast and easy to deploy. No investment, no IT project. Contact us and we’ll show you Industry 4.0 and indoor tracking in Action! SINTRA helps you to track your goods - with a fraction of your current expenses! Goods can be found anytime, anywhere. Searching is replaced by finding. All this with almost no effort! With convenient features you will be able to get your stock amount at any time, realtime and reliable. Logging goods in production is far from being easy. 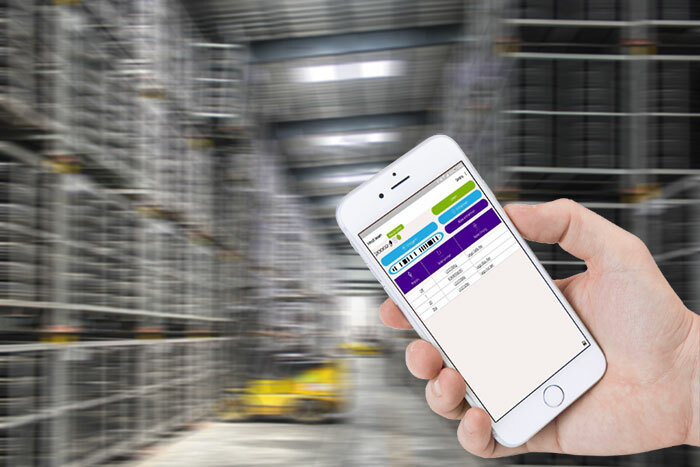 Now an easy system is available to log any goods with least effort. Get rid of hand written production reports. Due to the live capabilities of SINTRA it is possible to trace route your goods. This may be needed if you want to determine the time to arrival at their destination. Our primary goal: an easy-to-use solution. That's why our focus is always on usability. After all, anyone can complicate things! With our SINTRA system you always have an overview of your stocks - and the changes over time. Define your production layout and watch it live in the app. Whatever goods you want to book - SINTRA supports you. No setting is for eternity. Even changes are easy to implement. You can use our system as a service offer on demand or hybrid. The data is yours. Your data deserves the highest protection. We care about security - whether the data is in your local data center or in the cloud. Define roles and access rights exactly to your needs. The right information for the right employees! - just log in and it works. The app comes in two different modes: one for bookings and one for localization and transportation. Do not look any further, you will find - all goods inside or outside your building, even company-wide. With simple rights management, you can grant or hide access to features and other details. You want more details? Zoom in as usual and get a detailed view of your goods. Our system as a service offer works through 3G / 4G even without a local intranet. * Based on an initial 12-month order and at least 200 tags.